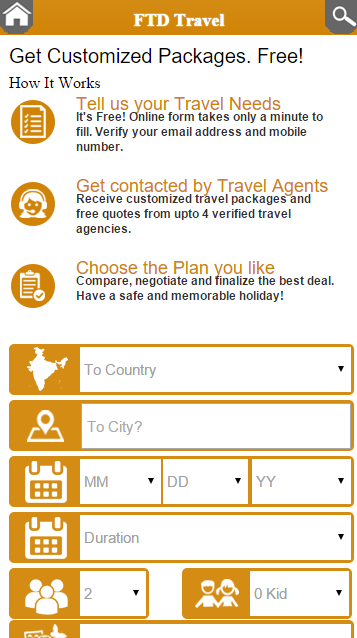 Browse City or Country Travel Guides, a personal advisor in your pocket which helps you plan and have the perfect trip. With restaurants, attractions, hotels and even shopping areas and specialties, FTD Travel is the must-have FREE worldwide travel guide for all your trips, week-ends and holidays! Discover the most popular destinations of the world with FTD Travel, your personal travel guide! The app includes maps (also available offline! 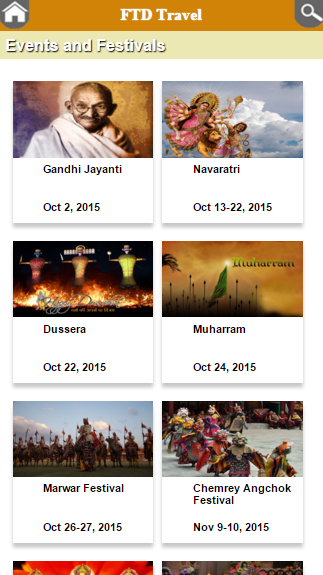 ), free updates and a FREE premium guide for world tourist destinations. 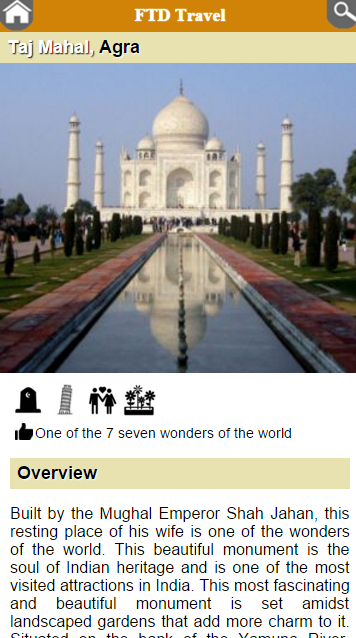 India World Travel Guide is an incredible tour guide. Wherever you travel, this amazing app will spot the best places to visit, in the blink of an eye! 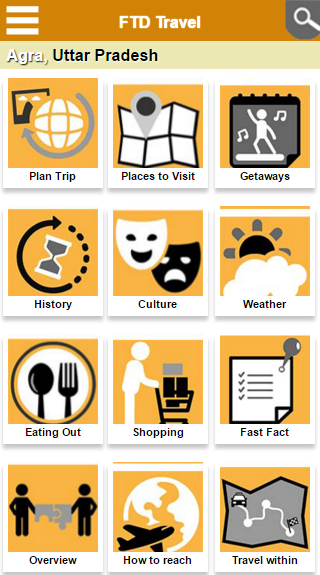 It's just like having a universal travel guide always in your pocket. 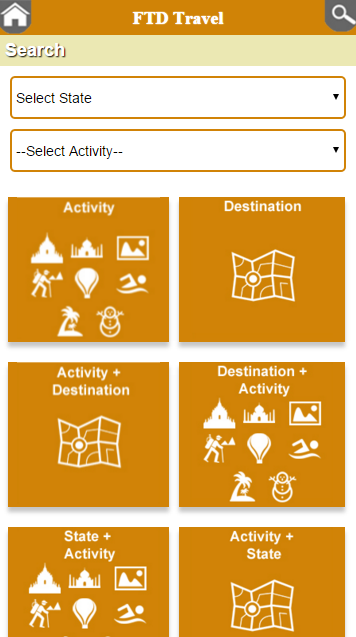 You will discover places, monuments, national parks, beaches, museums, art gallery etc everywhere, even next to your home! You will learn the history of your region and of all the places where you go on vacation. 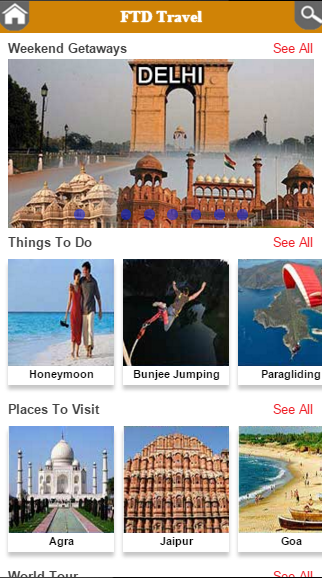 It is an ideal app to make the most of the city’s amazing culture and world-famous attractions. FTD Travel is the guide you must have for local tourism (short walk, hiking...), long trips abroad, tours and cheap holidays! 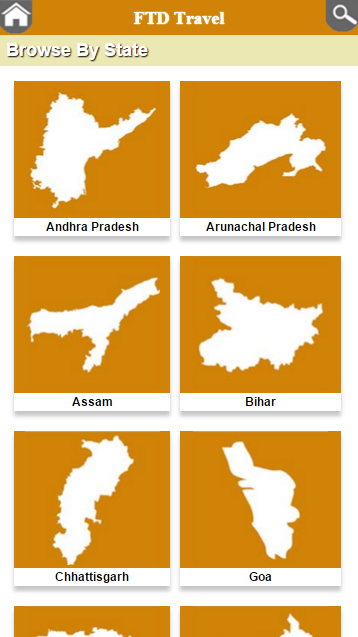 You can also use 'India World Travel Guide' to prepare a trip wherever you go: each location is rated and can be easily localized on a map. Keep up-to-date with the best events, festivals and places to visit, find out what's free near you, and browse all our must-see recommendations. The world heritage will be yours! FTD Travel covers over 300 tourist destinations across the globe covering over 70 activities like Skiing, Paragliding, Museum, Temples, Art Gallery, adventure sports, etc across 8 different activity groups like Air, Water, Nature, Pilgrim etc. Getting away to a new tourist spot can be an adventure or a tranquil break. For most people though, travel and tourism can be a step into mysterious territory and unacquainted surroundings. While this is frequently the intention, doing a little study prior to heading out on your tour can allow you to make the paramount choices during your trip. FTD Travel can assist you figure out where to go, help you find what there is to see when you get there, and help groom you for the experience that awaits. 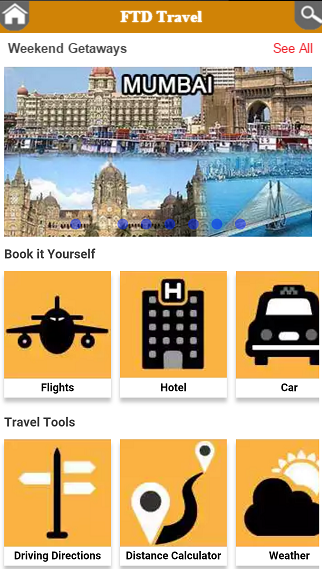 No matter where you are travelling, we hope this mobile app will make it easy and fun for you to explore your experiences, all past, present and future. Whether you are interested in museums, archaeology, beaches, nature, sports activities, sacred sites, history, architecture, or general sightseeing, FunTravelDeals is your guide. Whether travelling on foot, by bike or by car you never miss a monument. Make your trips and visits cool and easy everywhere with a guided tour, in any country worldwide! Traveling has never been so fun! 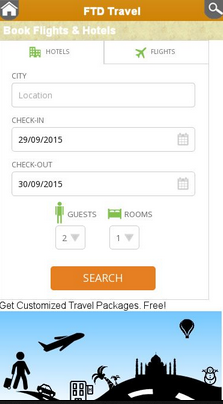 Download now one of the best Android travel guide...for FREE! It’s all about travelling like a local with FTD Travel. Don’t leave home without it!